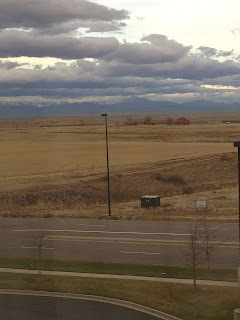 There was no snow on the ground, yet it was evident on the mountains in the distance. This was a different view for me from this hotel which I have visited many times before. 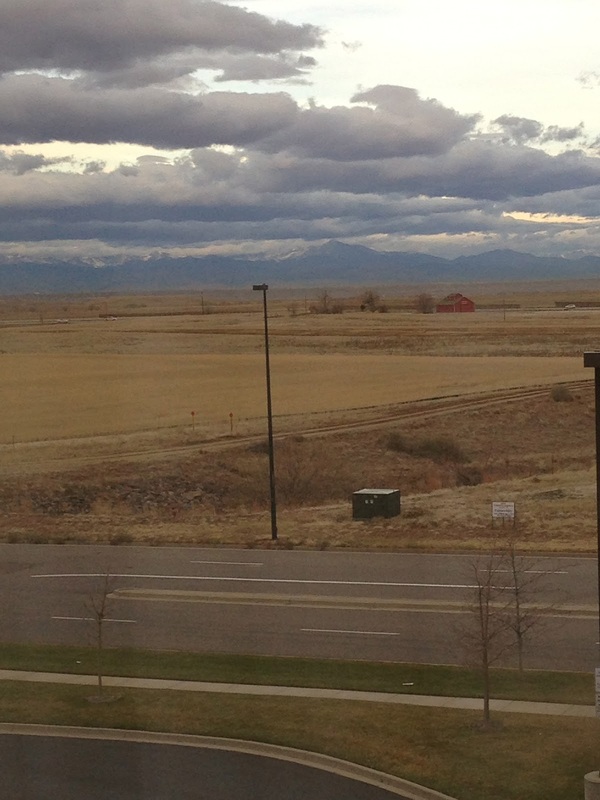 Looking north to the plains, yet with the Rocky Mountains visible in the distance. And yet, yesterday morning, they were the majestic part of the scenery. I definitely prefer their view to that of yet another building or hotel. The scene out of the hotel window continues to change with the seasons and the compass.